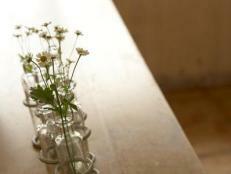 Learn the basics of what can be decorative and durable at the same time on your kitchen counters. 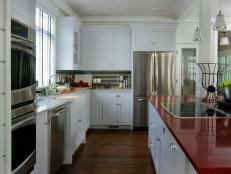 Granite is a popular but expensive choice for kitchen surfaces. Although granite has been popular for many years, the latest trends in countertop surfaces include soapstone, solid surface and laminate. Decorative and durable, these surfaces range from affordable to expensive and glossy to matte, all to fit your kitchen's needs. The kitchen is typically the most popular room in a home and many people are making their kitchens worthy of all that attention by choosing fantastic countertops to take center stage. 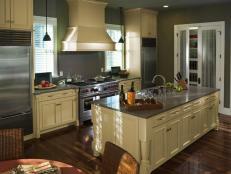 Three concerns that should be addressed are what complements the look of your home best, durability and budget. 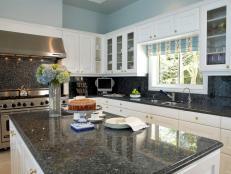 Granite countertops can increase the value of your home as it's one of the most expensive options. It's a naturally quarried product so every piece is one of a kind. Granite is really durable so it won't burn, scratch or stain, however, the size of the pieces is limited so there may be seams. 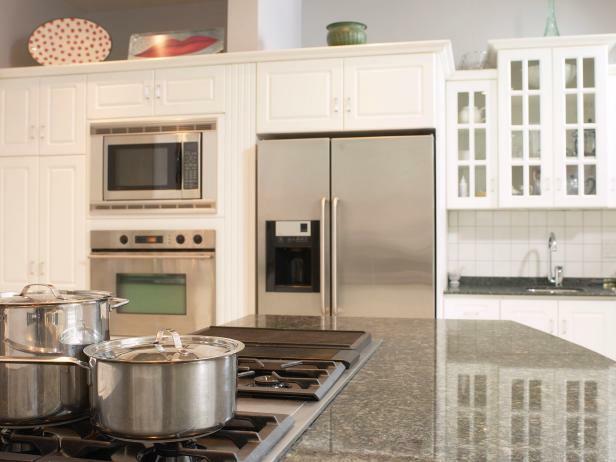 Granite is also a porous surface, which means it can absorb water and oils, so it should be sealed every year. Soapstone, which was used in lab classrooms, is known for its heavy-duty durability and works well as the current trend is a honed finish (without a high gloss shine like most granite countertops). 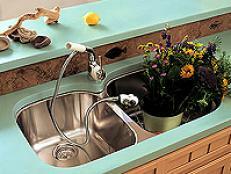 Soapstone is generally dark gray in color and may darken and/or crack over time. It's susceptible to stains without polish, you can scratch it with your fingernail (many people don't mind that) and it's comparable in price to granite. 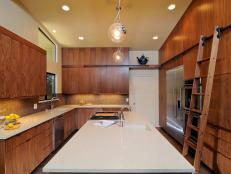 Countertops in many home stores are sold by the linear foot not a square foot, which is 12 inches by 12 inches. A linear foot is 12 inches wide and 25 inches deep because the standard depth of kitchen countertops is 25 inches. Finally, if your heart is set on granite but your wallet is stuck on laminate, you're in luck. The hottest new laminates are made to look like the much more expensive granite. 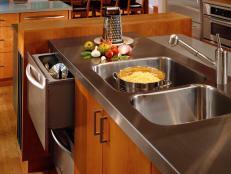 A cost-effective option is solid surface countertops. They're man-made from natural materials and acrylic polymer for a durable, nonporous surface that can easily be fixed if it stains or scratches. This product will probably cost 20 percent less than a stone countertop. 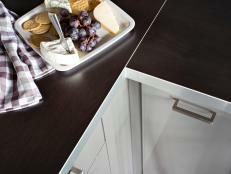 Laminate is an old favorite that's not to be forgotten. It's affordable and easy to keep clean, but a scratch will last until it's replaced. Laminate also comes in a range of colors and can be more affordable to change when you're ready for a new look than other countertop materials. Wood or marble? Make an informed choice with this rundown of the materials. Here's how to remove a slanted countertop, cut a replacement and install it so the counter is nice and level. 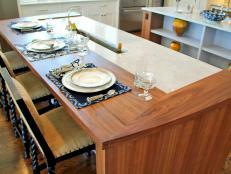 Versatile, durable, seamless installation and equipped with a warranty—solid-surface countertops are a win-win. For the homeowner in quest of an artistic, one-of-a-kind countertop that transcends the commonplace, concrete may be worth the price.